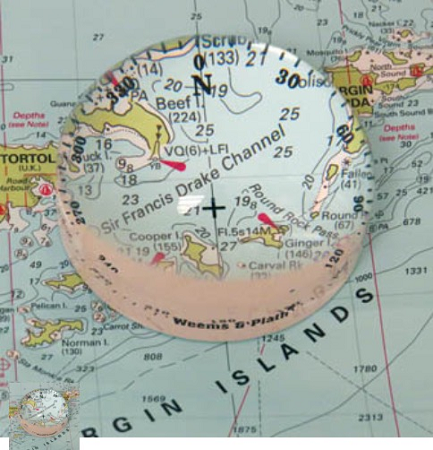 This handsome optical-grade crystal glass magnifier features a compass rose making it perfect for use with nautical charts. With crystal clarity and magnification of 4x, this magnifier enlarges small print on any task and is a welcome addition to desks or chart tables. The scratch resistant Crystal Magnifier is more durable than acrylic models and is packaged in an attractive felt-lined gift box.